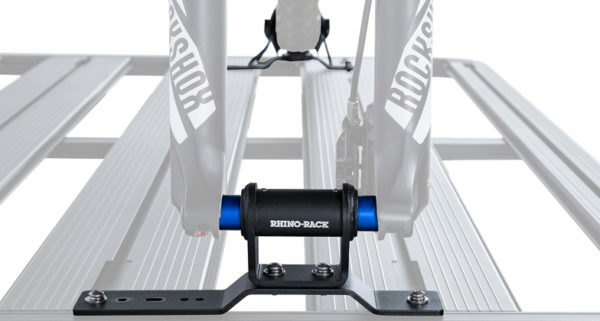 It offers a bike carrying solution for a thru axle bike with or without disc brakes, securing the bike with its forks and rear tire. 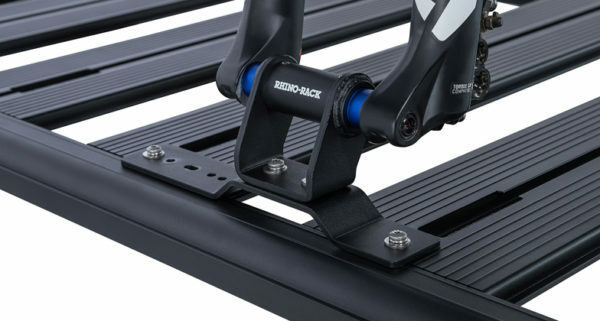 • Compatible with all Rhino-Rack Pioneer systems. 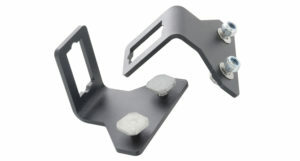 • 15mm x 100mm Multi Axle Adaptor included. 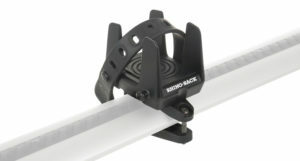 • Compatible with all other Rhino-Rack Thru Axle inserts. 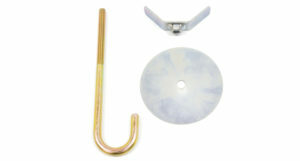 • All fixings and tools included. 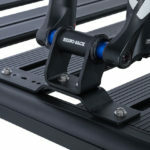 • Front carrier can be rotated to prevent handle bars clashing. 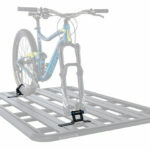 • Rear wheel carrier can be flipped to fit on smaller trays. 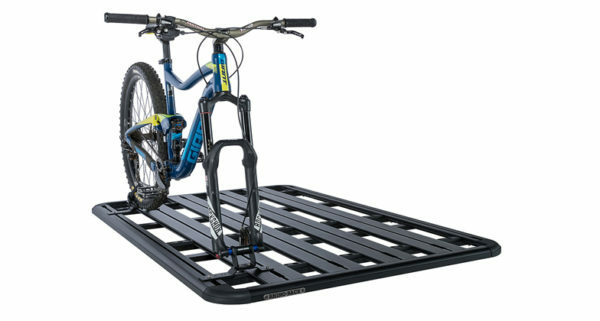 • Not suitable for electric bikes (e-bikes). 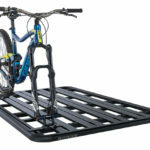 Horizontally attach your jerry can to the Rhino-Rack Alloy Tray, Pioneer Tray, Pioneer Tradie or Pioneer Platform using the horizontal jerry can holder. 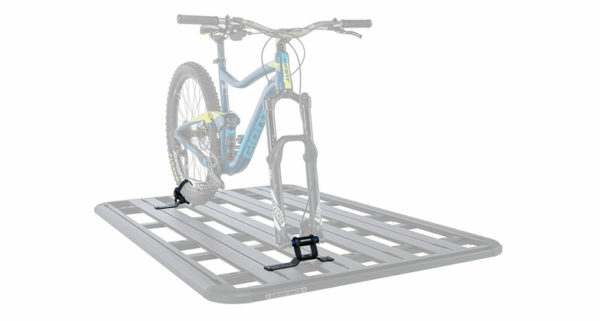 Decide how you want to carry your gear on your Rhino-Rack Pioneer Platform. 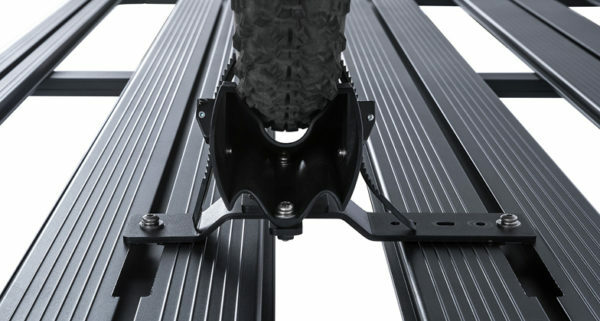 Our Pioneer Platform Front & Side Rail Kit is designed to allow you the flexibility when configuring how you want to mount the rails to best suit your load carrying needs. 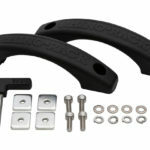 If you’re an avid camper or like to travel distances in your 4WD, you will know that a spare wheel is one of the essential items you need to bring with you. 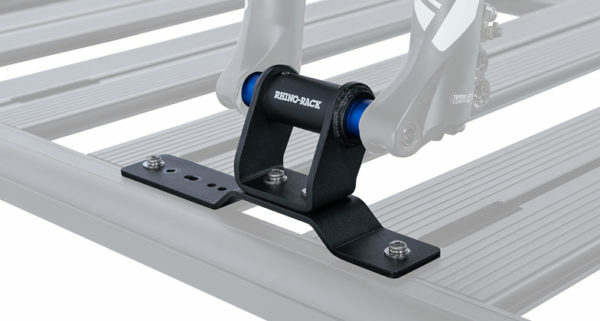 Rhino-Rack has developed a spare wheel holder for our range of Rhino-Rack Alloy Trays. 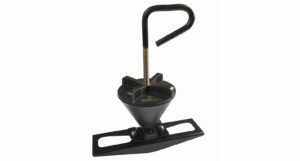 The RMPHU is the Universal Multi Purpose Holder that will fit most bar profiles and pioneer channelling. 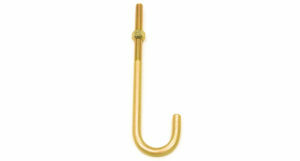 Carry items such as skis, ski poles, fishing rods, kayak paddles, shovels etc. 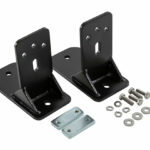 Carry more on your rack with our specially designed Multi Purpose Shovel and Conduit Holder Bracket. 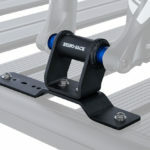 Connects to the rear of awnings and foxwings, and allows you to then add the shovel or conduit brackets. 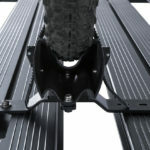 The Pioneer roller is designed to fitted to the rear of a platform or trady tray. 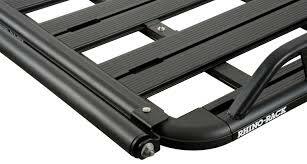 It runs nearly the full width of the tray and provides a roller to assist in loading ladder, sheets of timber, etc. 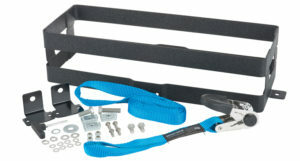 Do you have difficulties loading gear onto your 4WD’s roof racks because you lack that extra reach? 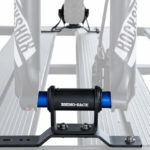 Introducing the Rhino Wheel Step. 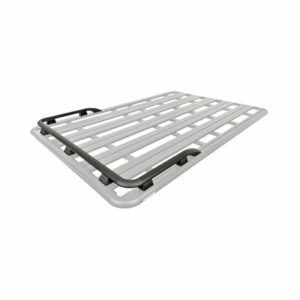 The Rhino Wheel Step is the safe and effective way to load and unload your roof racks, luggage carriers, trays and any gear mounted on your 4WD’s roof.